The presidential visit shines a spotlight on a successful alliance with Partners in Food Solutions and USAID. 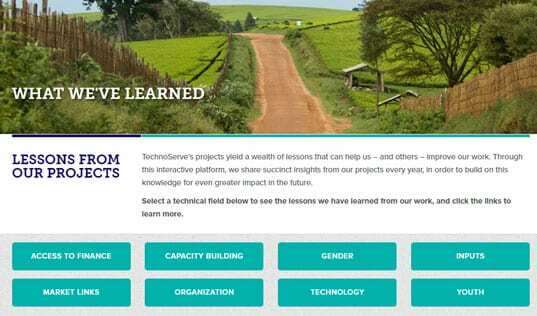 On Tuesday, President Barack Obama had a firsthand look at TechnoServe’s work to improve food security and increase the income of smallholder farmers in Ethiopia. As part of the first-ever visit by a sitting U.S. president to the country, Obama toured the Faffa Food Share Company plant in Addis Ababa and learned about the African Alliance for Improved Food Processing (AAIFP), a partnership between TechnoServe and Partners in Food Solutions, supported by the U.S. Agency for International Development (USAID). "We want Ethiopia not only to be able to feed itself, we want eventually Ethiopia to be a food exporter as well," President Obama said on the floor of the Faffa plant. Faffa is one of 20 food companies across Ethiopia receiving technical advice and business guidance from TechnoServe and Partners in Food Solutions (PFS), which taps the expertise of volunteers from General Mills, Cargill, Bühler and Royal DSM. 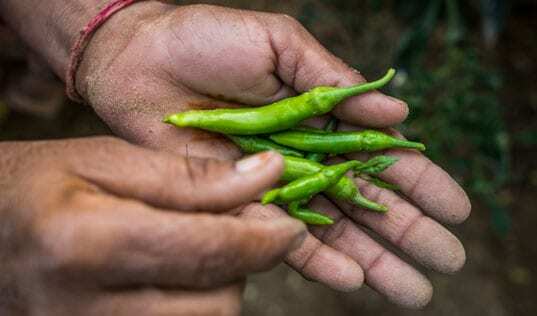 With this support, food companies are able to produce more affordable, high-quality food for the local market, improving the nutrition of Ethiopian families and sustaining the demand for crops grown by Ethiopian farmers. Over five years and across five African countries, PFS and TechnoServe have worked with 700 food companies, helping to create a sustainable market for 829,000 smallholder farmers and supporting nearly 5 million people. The Faffa plant is Ethiopia’s leading producer of baby food for children over six months, and it is also a major source of fortified flour and foods, some which it supplies to the World Food Program. During his tour, President Obama had the opportunity to interact with Faffa managers and workers, as well as a farmer who sells her corn to the company. 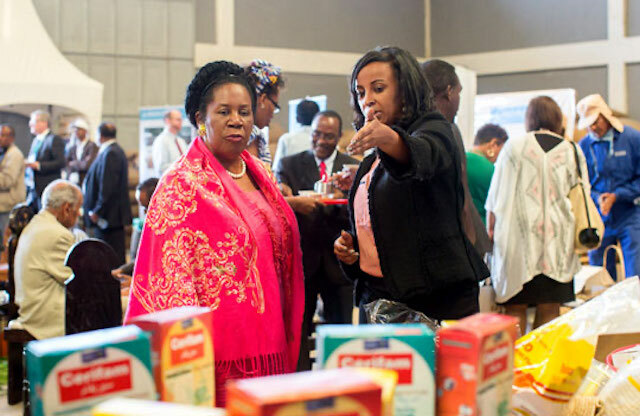 Congresswoman Sheila Jackson Lee (left) and TechnoServe Ethiopia Country Director Mefthe Tadesse at Monday's Feed the Future event in Addis Ababa. President Obama was joined by a high-level government delegation, including three senators and 16 members of the House of Representatives. 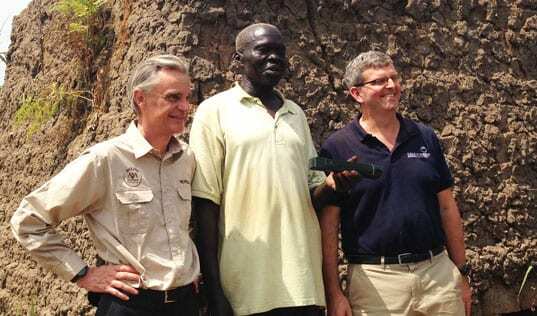 On Monday, that delegation visited the Yirgacheffe Farmers Cooperative Union, where they learned about AAIFP and other Feed the Future initiatives. TechnoServe’s Ethiopia Country Director, Mefthe Tadesse, met with several congresspeople and explained to them how U.S. taxpayer funds are being leveraged to create significant and sustainable change in the lives of Ethiopian families and farmers. Read more about this historic visit.